Built to last, wooden furniture has a history of craft dating back millennia. From the types to the treatment of timber, this guide ensures your pieces last more than a lifetime. Our furniture collections use a variety of natural and treated timbres ranging from oak to walnut and ash to cherry. Solid wood furniture looks great in every space, particularly the dining room where the table provides communal heart of the home. Providing a classic or contemporary great, wooden furniture ages beautifully and, if you look after it, can last for generations to come. 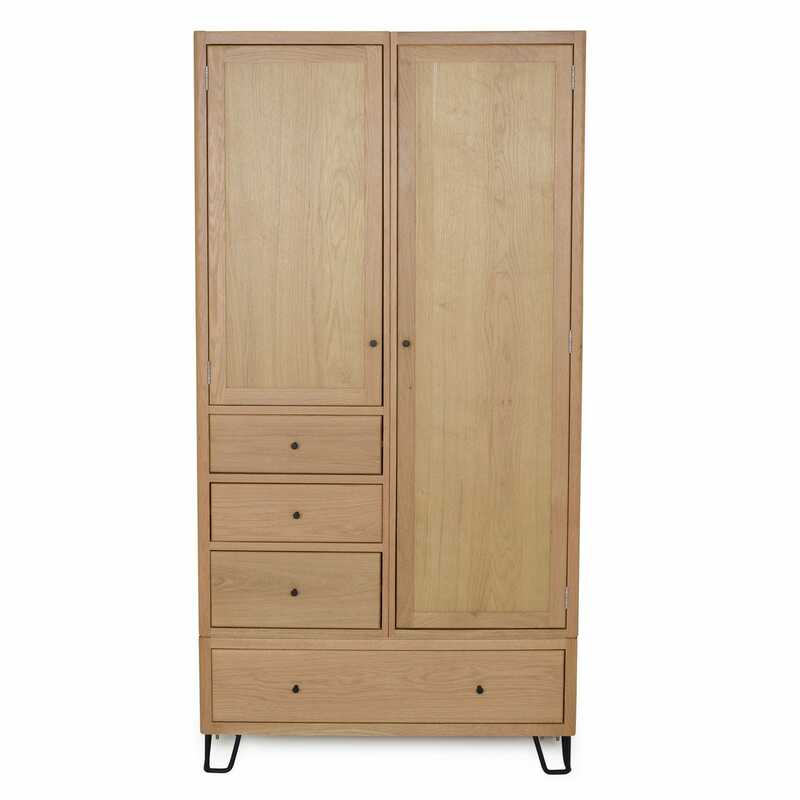 When new and unfinished, oak furniture will naturally appear quite light with a slightly yellowed hue. All woods however can have significant colour variation from one piece to another, as with any natural product. Any sample products should be taken as indicative of the wood and finish, however it is not possible to guarantee an exact colour match. Over time, sunlight will cause the wood to darken and mellow throughout its life. Oils in the skin will accelerate this process with any areas that are regularly touched, such as handles, table edges or chair backs, gaining a noticeably darker tint to the rest of the furniture. Solid oak furniture may also be subject to rough grain protruding from previously smooth surfaces. This is usually caused in humid conditions or areas where spillage has occurred, the water having been absorbed into the wood causing the grain to swell. Ash behaves in all respects nearly identically to oak, the main difference is ash has a slightly narrower grain. Again, as with oak, ash will darken over time. Cherry is a wood that starts very pale, and can look very similar to both ash and oak when young. Over time, sunlight will cause cherry to darken and redden. 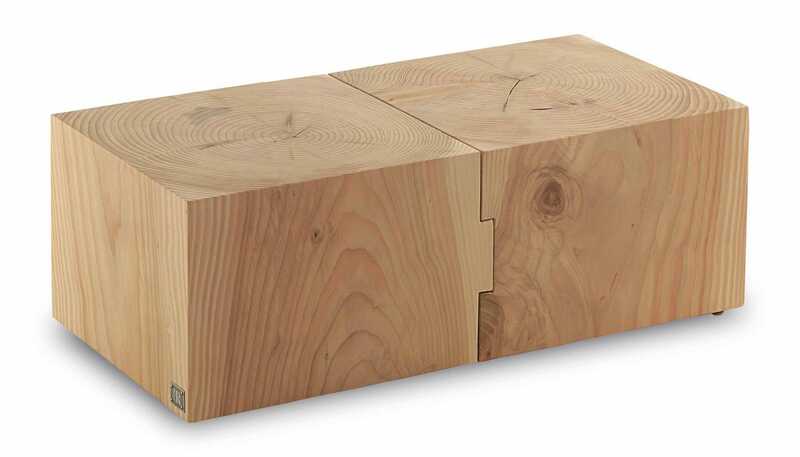 Avoid placing objects on cherry for a long period of time in a fixed position as this will mean the area which has been covered will remain lighter than the rest of the wood. Sourced from North America, grey elm has a rich grain that makes it a fascinating and beautiful timber, especially when used to craft wide surfaces such as table tops and seats. Elm is hard wearing with lacquered finishes naturally darkening over time. Some of our furniture collections will include stained versions of the woods described above, usually in ash or oak, adding a little more protection from spillages. Staining also adds a greater level of colour control between batches, however, as the stain is still applied to a natural surface, there will still be some level of natural variation between pieces. Finish: unless otherwise specified, our collections of wood furniture are usually finished in a durable clear matt lacquer. This provides an easy to care for durable finish that doesn't compromise the natural beauty of the wood grain. Care: solid woods may expand and shrink with differences in temperature and humidity. Take care not to place your furniture next to radiators or anywhere subject to =excessive changes in temperature or moisture content. We recommend that all kitchenware and beverages should be placed on mats and any spillages should be wiped away immediately. Cleaning: to clean, wipe with a damp cloth before buffing with a dry cloth. In the event of more stubborn marks, a solution of mild detergent should be used on the cloth. Silicone based polishes should not be used on the wood as they will build up and leave a sticky residue on the surface. Heat: never place hot items such as dishes directly onto the table without using a heat resistant mat or trivet as direct heat will draw out the moisture in the wood leaving a ring mark ingrained into the wood. Please note that this should be used as a guide only as individual wood finishes can vary. Finish: applied by hand. the pre-oilded finish enhances the open grained appearance of the wood giving it a slightly more rustic,matt finish. Heal's oiled furniture is finished with an Eco friendly Linseed based oil. Care: despite having already been pre-oiled, as best practice, we would also recommend that you oil the table surface on a six month to yearly basis depending on its usage. How regularly you re-apply oil to your table will vary based on the humidity & temperature of your room. Take care not to over-oil the table & always test the oil on a small, unseen area before applying a full coat. Please note that these pieces of furniture are often made entirely out of solid wood and it should always be remembered that they should not be exposed directly to excessive heat or moisture. For instance, do not place your furniture immediately adjacent to radiators and in the event of any spillages, wipe up all liquids as soon as possible before the liquid has the opportunity to soak into the wood. Cleaning: to clean the table, simply wipe down with a soft, barely damp cloth to remove any dust. In the case of stubborn marks, a solution of mild detergent such as washing up liquid should be used on the cloth. Avoid the use of scourers or bleaches. In the event of severe spillages and stains the surface can be re-sanded and re-oiled. However it is recommended that you consult our customer services department or a professional furniture restorer before doing so (this method should only be carried out if the furniture is made of solid wood). Whether it is an exclusive Heal's piece or a designer range, all of our wooden furniture is made using responsibly sourced natural timbers. Finishes such as oils or lacquers also adhere to strict European Union guidelines and regulations, minimising their environmental impact.